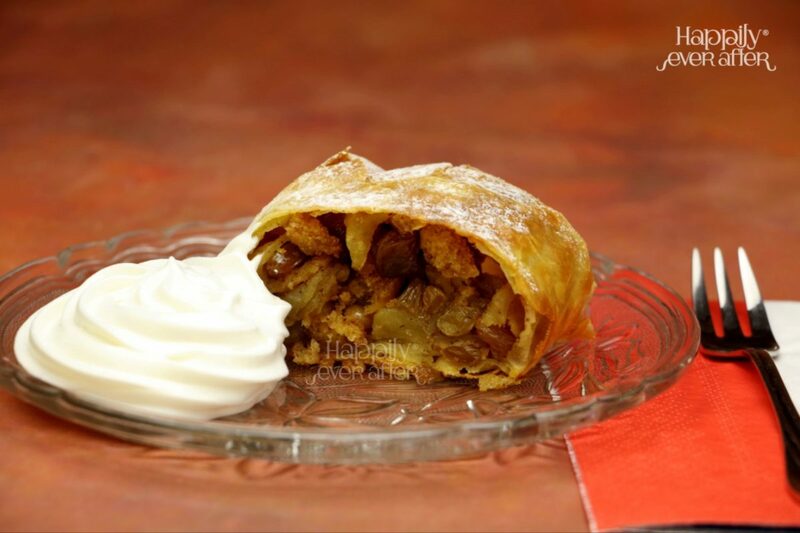 An oblong phyllo pastry jacket with a filling of apple, cinnamon, brown sugar and breadcrumbs. 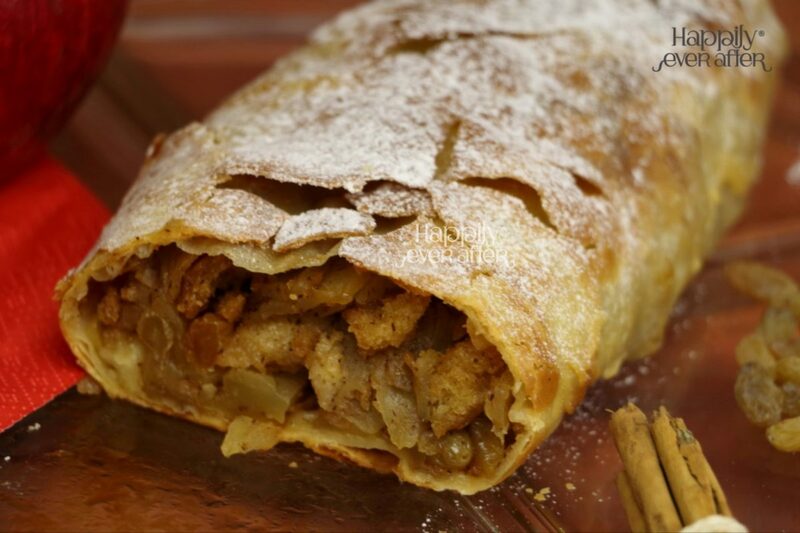 A popular pastry in Austria and in many countries in Europe that once belonged to the Austro-Hungarian empire, The oldest known strudel recipe dates back to 1696. 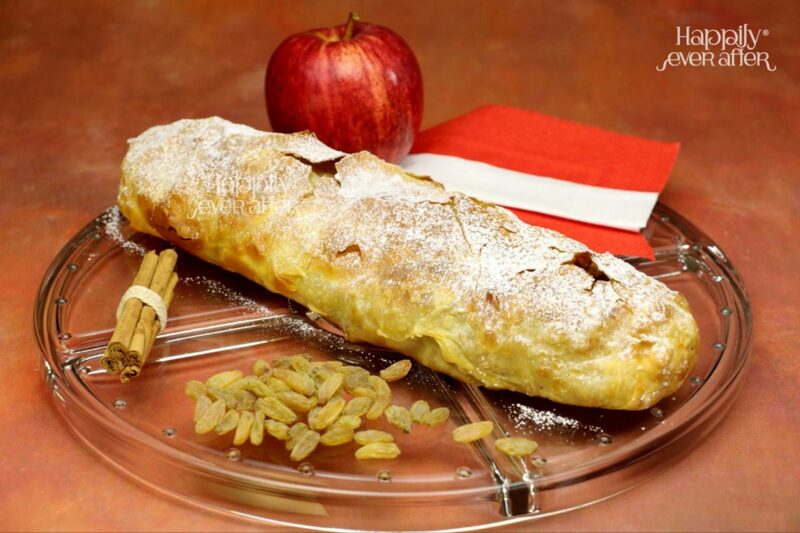 Our apple strudel is inspired by the recipe of Viennese confectioners in the imperial bakery of Schönbrunn, Vienna! Best enjoyed warm or cold with a dollop of whipped cream. 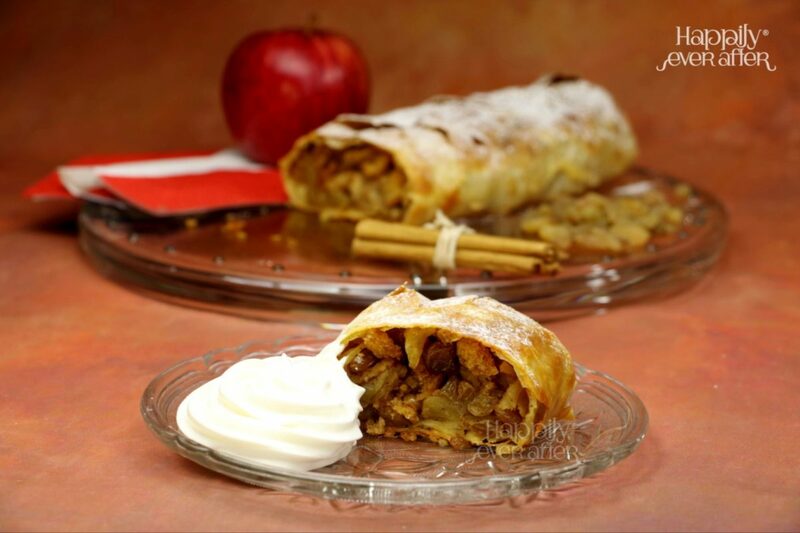 What makes our Apple Strudel special?! - High quality imported Apples carefully selected for its flavour and texture. - Crumbs of freshly made Artisan bread. - Premium Afghan green raisins and the finest 'True Cinnamon'. Consume within 3 days; Keep refrigerated. Do not Freeze.